Mix loops! Throw your songs into the MAGIX mega mix, the ultimate DJ mixing tool, and remix live. Match beats and change tempo like a DJ. Add filters and professional DJ effects into the mix and club it! Create CD and MP3 remixes with a few simple clicks. 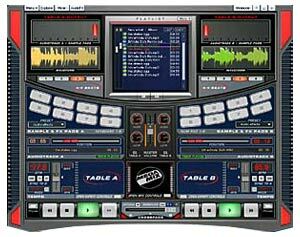 With this powerful DJ tool you can even mix live at a party.